If you are searching for active pest control for ants, it is important to know and understand that knowledge is power. It is the true secret of success in identifying, locating, and treating an ant infestation in and/or around your home. 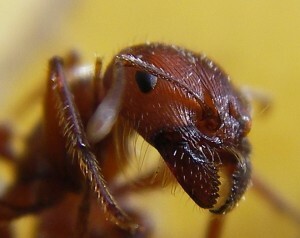 Ants are considered to be one of the most prevalent household pests. Worldwide, there are nearly 13,000 different species of ants. The most common species found in and around residential structures include the carpenter ant, the fire ant, the ghost ant, the army ant, wood ants, and sugar ants. In order to successfully combat an ant colony that has invaded your home, or the areas around your home, you must first obtain knowledge. This is actually considered the most positive and productive active pest control measure, according to pest control experts and companies that specialize in ant pest control. In this guide, you will be introduced to many basic facts pertaining to ants that will increase your knowledge, therefore, rendering you more powerful over an infestation. Ants are very small creatures. They have the unique capability of entering into your home through the tiniest of openings. In most instances, the pests will be found in and around the kitchen area of the home. This is because the ant is nearly always on a quest to obtain water and food. It is quite likely that, at some point in your life, you have observed a trail of ants. This is because when ants move, they leave behind a chemical trail for other ants that cannot be seen by humans. It contains pheromones. This informs other ants that the first ants on the trail have found either a water source, or a source of food. Ants have the amazing capability to create nests in virtually any location. You may discover a nest in your walls, underneath your home’s foundation, or even on your lawn. Ant colonies typically include up to 500,000 individual ants. If the pests within a colony feel threatened, they have the unique ability to quickly relocate to preserve the integrity of their colony. A queen may live as long as 15 years and worker ants have the ability to live about half that time. Now that you are familiar with the behaviors and characteristics that are common to ants, it is time to learn a couple of steps that may be taken to tackle an active infestation in and/or around your home. First, you should secure areas of your home that may be accessible to ants. For example, if there is a crack in your wall, you should seal it. Next, you should remove any and all food and water sources from the home. If you spill something, clean it up. If you drop something – even a crumb – remove it. Garbage should be taken out daily. If you continue to experience complications with ants, you may use insecticides and ant baits. There are many forms of ant pest control that will assist you in tackling an infestation. If you find that you are not comfortable with the techniques outlined here or desire a quick removal of the ants, you should contact a local pest control company to assist you. These companies offer a wide range of active pest control options for an affordable price. Not only are the active pest control options safe, but, they are completely effective.